Abrogazione [Repeal] : the ceasing of a legal norm or a legislative act’s enforceability. The repeal can be expressed (by an explicit statement of legislator) or implied (because of inconsistency with subsequent law). Moreover it can be a consequence of referendum or due to intrinsic causes (special laws issued for a limited period or in particular circumstances). Appello nominale [Roll call] : one of the ways in which the Houses of a Parliament vote. It consists in the calling in alphabetical order of each single Member of Parliament, who is expected to openly and publicly cast his or her vote. Assemblea costituente [Constituent Assembly] : special and provisional collegial body elected to draw up and to approve a Constitution, as well as to carry out the legislative tasks normally appertaining to Parliament. Assemblea Generale delle Nazioni Unite [General Assembly of the United Nations] : United Nations body made up of all the Organization’s Member-States. Associazione [Association]: organized complex of people and property having no financial ends. Associazione Nazionale Magistrati [A.N.M. – National Association of Magistrates] : free association to which almost all Italian magistrates belong. 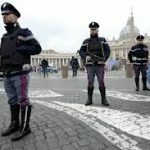 It is divided into different currents that elect its Governing Committee and propose candidates for the election of the “ Consiglio Superiore della Magistratura ” (Superior Judiciary Council). Atti di alta amministrazione [Upper Administrative Acts] : fundamental directives adopted by the Public Administration in order to meet Government policies on the management and care of its functions (these therefore act as links between policy and administration). Atti aventi valore di legge [Legally binding Acts] : decrees law, legislative decrees and normal Regional laws are defined as such. They are characterized by the fact that, although having all the effects of law, they are limited in terms of their duration or in what they regulate. Atti di concerto [Collegial Acts] : acts that invest more than one authority and more than one particular competence and for which more than one body concurs with respect to what is regulated. Atti di controllo [Controlling Acts] : second level regulations to reform – or to re-examine – a previously passed act or procedure (the following are examples of these: visas, approvals, authorizations, validations or annulments during checking procedure). Atti definitivi [Definitive Acts] : administrative acts that cannot be altered by ordinary administrative procedures. Atti generali [General Acts] : Public Administration acts dealing with general or abstract matters that apply to an indeterminate number of parties. Atti giuridici [Legal Acts] : conscious and voluntary behaviors that has legal effects. Atti giuridici comunitari [European Community Legal Acts] : this expression defines the “derived European Community Law”, that is the set of regulations drawn up by European Community Institutions, whose direct basis is Treaties (original European Community Law). Atti ispettivi del Parlamento [Parliamentary Inspecting Acts] : a posteriori acts (usually passed separately by each House) that politically control the activity of the Government. These make up the parliamentary “political inspection”. In certain cases they take on a preventive form in order to solicit a decision such as, for example, in the case of parliamentary questions. Atti normativi [Normative Acts] : acts that affect an indeterminate number of subjects and can modify or renovate the existing legal system. They are therefore a “source of the Law”. Atti parlamentari [Parliamentary Acts] : acts resulting from the work carried out by each House of Parliament (Deputies and Senators). Parliamentary acts also include summary reports of Committee meetings, that contain all the bills presented in the Houses. Atti politici [Political Acts] : through these acts Government policy (that is the supreme will of the State) is implemented. Atto unilaterale [Unilateral Act] : acts through which a single party (in particular a State) sets down rules that result in rights and obligations in the legal relationships existing between international community parties. Autarchia [Autarchy] : the ability of bodies other than the State to dispose of public authority; it consists in the ability, inherent to public bodies, to administer their own interests by carrying out an administrative task that has the same character and the same legal efficacy as that of the State. Autogoverno [Self-Government] : expression that comes from institutions that are typically found in Anglo-Saxon legal systems (“self-government”). It stands for the particular condition of certain public bodies that are permitted to administer themselves by means of internal institutions and procedures. Autonomie locali [Autonomous Local Bodies] : local bodies that the State recognizes as autonomous authorities; they have the right and the effective ability to regulate and to administer – within the bounds of the Law and on their own responsibility – a significant part of public affairs. Autorità amministrative indipendenti [Independent Administrative Authorities]: public bodies or institutions created by the legislator in order to guarantee autonomy and impartiality in specific and particularly important areas for the State and/or the economy; they are therefore organizationally and financially autonomous, are self-auditing and have substantial independence towards the Government. Avvocatura dello Stato [State Attorney-General Office] : auxiliary organ with general competencies that the State Administration institutionally entrusted of the representation and the defense in judgment involving ordinary, administrative and special jurisdiction, arbitration colleges and constitutional jurisdictions. Bicameralismo perfetto [Pure Bicameralism] : in a twin House parliamentary system both Houses have identical powers and functions. Bilancio dello Stato [State Budget] : law consisting of an accounting document in which, in accordance to specific criteria, the State’s income and expenditure for a given period is set down. Bollettino Ufficiale [Official Bulletin] : a periodical issue edited by Public Bodies and Administrations which publishes internal regulations and, more in general, the laws and rules regulating the administrative sectors within the competencies of the Body that publishes the Bulletin. Burocrazia [Bureaucracy] : complex of offices and personnel that apply the regulations drawn up by the organs of the Public Administration. Capacità giuridica [Capacity to have rights] : capacity to be holder of legal rights and obligations. Capacità di agire [Capacity to exercise rights] : capacity to acquire and to exercise subjective rights and to take on obligations; it is therefore the aptitude to create, modify or to extinguish one or more legal relationships. Casellario giudiziale [Criminal Records Office] : filing cabinet established in each Public Prosecutor’s Office, that has the task of collecting and preserving the abstracts of regulations and notations concerning all the people born in the District in relation to which registration is required by Law. Catasto [Land Register] : general list of all property (land or real estate) that determines the consistency and the income of property through its description, measurement and estimation. Circondario [District] : territorial area that delimits the competence of an ordinary Court. Coalizione di Governo [Government Coalition] : coalition of Parties that, taken together an absolute majority in Parliament, provides the parliamentary basis for the Government. It pursues a coordinated and common political line with respect to the political Parties that it comprehends. Codice [Code] : systematic and organized set of laws relating to the same subject or sector (for example: Civil Code, Penal Code, etc.). Codificazione [Codification] : ordered and coherent system of norms and regulations in a particular field. Comitato delle Regioni [Committee of the Regions] : consultative body set up by the Treaty on European Union. It is made up of the representatives of Local and Regional Councils and it is nominated on the basis of proposals from the respective Member-States. Comitato Regionale di Controllo [CO.RE.CO – Regional Inspection Committee] : Regional body, regulated by State Law, that inspects the legitimacy of Provincial and Communal acts. Commissione europea [European Commission] : executive organ of the European Union that implements Community acts and treaties. Comune [Commune] : territorially defined public body headed by a Mayor elected directly by the citizens. Conferenza permanente tra Stato e Regioni [Permanent Conference between State and Regions] : corporate Body that has an information, consultation and coordinating role with respect to general policies (barring foreign policy, justice and national security). Conferenza Stato-Città [State-City Conference] : has a coordinating role in the relationship between the State and Local Bodies, and educational and information role for tackling problems regarding policies that may have a direct impact on assigned or delegated functions (Provinces, Communes, Mountain Communities). Consigli giudiziari [Judicial Councils] : organs of the Ordinary Magistracy at each Appeal Court. They have an administrative character, that is compulsorily determined by Law and they are competent for all magistrates of the District. Consiglio comunale [Communal Council] : highest institutional organ of the Commune. The Communal Council represents the local community by which it is directly elected. It has duties of policy and of political-administrative control. 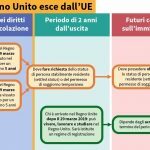 Consiglio dell’Unione Europea [Council of the European Union] : European Community organ which has important functions with regard to the creation of legal acts and treaties. Its presidency is assigned on a six-month in rotation to each Member-State of the European Union. Consiglio di gabinetto [Cabinet Council] : organ that assists the Prime Minister and the Vice-Prime Minister in their political activity, notwithstanding the powers of the Council of Ministers. Consiglio Nazionale delle Ricerche [C.N.R. – National Research Council] : national research organization, with general scientific competence and with scientific research Institutes distributed over Italy, which carries out activity of primary interest for the promotion of science and the progress of the Country. CNR has the legal status of a public organization, and defines for itself autonomous rules and regulations, in accordance with the existing laws and the Civil Code. Consiglio notarile [Notarial Council] : established in each Notarial District, it has a watch role on the notarial profession and on the conduct of notaries registered in the District. Consiglio dell’Ordine degli Avvocati [Bar Association Council] : established in each Court District, it is an organ that performs various tasks related to the professional roll control, to the watch over registered practitioners, to the advise in honorary matter and the profession prestige safeguard. Consiglio provinciale [Provincial Council] : representative collegial organ that has a guiding and political-administrative inspection role in the context of the Province. Consiglio regionale [Regional Council] : the highest deliberative and representative organ of the Region. It has normative and administrative competencies as well as organizational, financial and book-keeping autonomy. Consiglio di sicurezza [Security Council] : it is the most important organ of the United Nations Organization and has a fundamental task in the maintenance of international peace and security. Consiglio di Stato [Council of State] : an organ that has a jurisdictional and consultative function in the administrative sphere. In its consultative role it pronounces on all matters regarding the Public Administration through “opinions”. These can be “compulsory” or “binding”. As a jurisdictional organ, it is competent to re-examine on second level the judgements pronounced by the Regional Administrative Tribunals (TAR). Consiglio Superiore della Magistratura [C.S.M. – Superior Council of the Magistracy] : body provided for under the Italian Constitution (article No. 104). It is a self-governing body of the Magistracy. It issues orders for the appointment, assignment, transfer and promotion of magistrates (judges and public prosecutors) together with having responsibility for disciplinary judgements. It is made up of the President of the Italian Republic (acting as its Chairman), by the first President of the Court of Cassation and by the Court of Cassation’s Public Prosecutor (all these being members as of right). There are also thirty elected members holding office for four years: two thirds are ordinary magistrates (elected by the Magistracy) and one third are full professors in Law and lawyers with 15 years of practice (so-called “lay members” elected by the Parliament in joint session). Consuetudine [Custom] : source of Law that consists of a behavior, conforming to the Law, which is kept in a constant and uniform way by the citizens. It is a primary level source in the hierarchy of norms of the international legal system. Consultazione popolare [Popular Consultation] : system of inquiry: opinion poll, through which the attitude of citizens with respect to political-administrative orientations is verified. Corte Costituzionale [Constitutional Court] : body set up by the Italian Constitution to carry out the following functions: to adjudicate on the constitutionality of laws (deciding whether they comply with the provisions of the Constitution); to adjudicate on conflicts between State Powers (legislative, administrative, judicial), between the State and Regions or between different Regions; to adjudicate on the admissibility of repealing referendums; to adjudicate, in cases provided for under the law, on criminal charges brought against the President of the Italian Republic. The Court is made up of fifteen judges holding office for nine years. Corte d’Appello [Court of Appeal] : body forming part of the ordinary civil and criminal Court system. It is made up of three judges. It represents the second level of the judicial system, that of appeal against decisions of the first instance Court (“Tribunale”). It has territorial jurisdiction within its own District, generally corresponding to a Region. The Court is normally located in the Region capital. Corte d’Assise [Court of Assizes] : Court with ordinary jurisdiction in criminal matters with competence to try a number of serious offences at first instance. It is made up of a President (a judge qualified for the Court of Appeal), a judge qualified for an ordinary Court (“ giudice a latere ”) and six jurors. In carrying out their functions the jurors have equal status to the Court judges: their votes count for the same as those of the judges when the Court reaches a sentence. Corte dei Conti [Court of Accounts] : body set up under the Italian Constitution (articles No. 100 and 103). It is responsible for checking the legitimacy of the activities of the Government and of the Public Administration. It is also responsible for checking the management of the accounts of the State, of the Public Administrations generally and of the bodies subsidized by the State. It also has a judicial function in the field of public accounting and in relation to pensions of State officials. It is divided into “checking” divisions and “judicial” divisions. When dealing with matters of particular significance it sits in United Sessions. The Court of Accounts also has a consultative function (when asked to give opinions on specific matters) and a referral role when it is called upon to report directly to the Houses of Parliament on the results of the checks it has carried out. Corte di Cassazione [Supreme Court of Cassation] : as Italy’s Supreme Court, it is entrusted with ensuring the precise observance and uniform interpretation of the law. Questions relating to conflicts of jurisdiction, competence and powers within the Magistracy are also referred to it for adjudication. It hears appeals both in civil and criminal matters against decisions reached by lower Courts but only on points of law (assessment of legitimacy). It is thus concerned to ensure that the Court dealing with the merits of the case has correctly applied and interpreted the law in reaching its decision. It is a collegial body dealing with ordinary jurisdiction. It is divided into so-called “simple” divisions (6 criminal, 3 civil and 1 for labour cases). In cases of particular importance it sits in United Sessions. Its offices are in Rome and it has jurisdiction over the whole territory of the Italian Republic. Corte di giustizia della Comunità Europea [Court of Justice of the European Community ] : the Court of Justice of the European Community (often referred to simply as “the Court”) was set up in 1952 under the Treaty of Paris (establishing the “European Coal and Steel Community”). Its job is to ensure that European Union legislation (technically known as “Community Law”) is interpreted and applied in the same way in each Member-State, in other words, that it is always identical for all Parties and in all circumstances. The Court has the power to settle legal disputes between Member-States, European Union Institutions, businesses and individuals. The Court is composed of one judge per Member-State, so that all the EU’s national legal systems are represented. Even after enlargement there will still be one judge per Member-State, but for the sake of efficiency the Court will be able to sit as a “Grand Chamber” of just eleven judges instead of always having to meet in a plenary session attended by all the judges. Corte europea dei diritti dell’uomo [European Court of Human Rights] : international Court established by the European Convention for the safeguarding of Human Rights. It can be appealed to for violations of rights and liberties guaranteed by the Convention. Corte Internazionale di Giustizia [International Court of Justice] : Supreme International Court established in 1945. In accordance to the Statute it is an organ of the United Nations. It is made up of fifteen judges of various nationalities who are elected on the basis of their competencies and moral standing. Costituzione [Constitution] : fundamental law of the Republic that sanctions the fundamental principles, the duties and rights of citizens. It also regulates the State organization. Decreto-legge [D. L. – Decree Law] : normative Government act. It is used in very particular and urgent cases and has a time limit of sixty days from the date of its publication on the “ Gazzetta Ufficiale della Repubblica ” [“Official Gazette of the Republic”]. Decrees law can be converted to laws by Parliament. Decreto legislativo [D. Lgs. – Legislative Decree] : a provision that has the binding force of law. It is adopted by the Government with a deliberation of the Cabinet and it is passed by the President of the Italian Republic on the basis of a delegated law (“ legge delega ”). Decreto ministeriale [D. M. – Ministerial Decree] : secondary normative act with a solely regulatory purpose that individual Ministers can issue in the context of their Department and by virtue of a law that expressly predisposes it. Decreto del Presidente della Repubblica [D. P. R. – Presidential Decree] : provision with which the President of the Italian Republic issues acts provided by the Constitution or by Constitutional Law, those relative to the organization of the personnel of the Secretary of the Presidency, as well as all the acts that are expressly listed by the law 13/’91 (for example, the nomination of State Undersecretaries, the decision on extraordinary appeals, granting of Italian citizenship, dissolution of Communal and Provincial Councils). Demanio [State Property] : complex of properties of the State, Regions, Provinces and Communes. Its scope is to serve the public interest and, as such, it is subject to different rules than those that govern private property. This kind of property is, in fact, inalienable and from it cannot accrue any right to a third part. Democrazia diretta [Istituti di, Institutions of Direct Democracy] : Institutions provided by the Constitution through which the people, in whom sovereignty rests, directly exercises its powers. These institutions are: popular initiative of bills and laws, right of petition and the popular referendum. Deputati [Members of Parliament] : members of Parliament elected by direct universal suffrage, some by means of majority voting system and others by means of proportional representation system. All citizens over twenty five years can be elected as long as they are not in a state of ineligibility as set out by Law. Their mandate lasts for five years, which is for the whole legislature. Deregulation : progressive suppression of norms issued by public authority that regulate, in particular, economic activity. In practice this means the abolition of controls having social objectives that limit the free initiative of entrepreneurs. Direttiva comunitaria [Community Directive] : in European Community Law a directive is a legislative instrument that is binding on the Member-States to which it is addressed as regards the result to be obtained, but leaves them free to determine the form and methods. Directives may be adopted underthe European Community Treaty either by the European Parliament and the Council or by the Council or by the Commission. The Community institutions use “Regulations” more often than “Directives” in judicial cooperation in civil matters. Once adopted, Community Directives still have to be transposed by each of the Member-States, that is to say they must be implemented by national Law. Diritto amministrativo [Administrative Law] : branch of the Law that regulates, within the bounds of the Constitution and of the Law, the administrative activity of the State in all its facets. It is concerned with the organization, property, means, forms and the safeguarding of the activity of the Public Administration. Diritto costituzionale [Constitutional Law] : the fundamental principles and regulations of the State, citizens and all other community parties. These regulations are contained in the Constitution (see “ Costituzione ”) and in the constitutional laws. Diritto internazionale [International Law] : set of rules on which States regulate their political, economic and social relationships. Amongst International Law sources, international Treaties are of particular importance. Diritto pubblico [Public Law] : set of regulations that govern the formation, the organization and the activity of the State and Public Bodies, as well as their relations with private parties in cases in which the State or Public Bodies are in a position of superiority that derives from the fact that the latter are acting as public authorities. Disegno di legge [Draft Bill] : normative text drafted as articles, proposed for the approval of the Senate, presented by the Senators, the Government, at least fifty-thousand electors, a Regional Council or by the “ Consiglio Nazionale dell’Economia e del Lavoro ” (CNEL – National Council for the Economy and Work). In the Chamber of Deputies a “ Progetto di legge ” (bill) issued by the Government is referred to thus (in order to distinguish it from a “proposta di legge”, which is not proposed at the initiative of the Government). Disposizioni sulla legge in generale o preleggi [Provisions for law in general or Pre-laws] : norms that are premises of the Civil Code that regulate the entire Italian legal system. There are two types: the first is concerned with Law sources; the second sets norms in relation to Law application criteria (binding effect, effects over time, interpretation of Law, treatment of foreigners). Disposizioni transitorie e finali della Costituzione [Transitional and Final Provisions of the Constitution] : provisions, marked by Roman numbers, that contain norms that have the same formal value as the Constitution. The majority of these are aimed at regulating and guaranteeing, by means of transitional norms, the correct establishment of the new constitutional regime . Elettorato [Electorate] : the exercise of a public power attributed to all the electors expected to vote. Belonging to the electorate is documented and attained through being registered in the electoral register. It can be distinguished as “active” (the capacity to vote) and “passive” (the capacity to be elected). Elezioni [Elections] : popular consultation through which the citizens, with the exercise of their right to vote, choose their representatives in the various institutional organizations (e.g. Parliament). Enti locali [ Local Bodies ] : public bodies that operate in a restricted territorial area for matters that are of strictly local interest; in order to carry out this task they are, at various levels, politically and legally autonomous. Enti pubblici [Public Bodies] : legal persons through which the Public Administration carries out its administrative activity. Federalismo [Federalism] : model of State decentralization, typical of liberal-constitutional governments, in which political power is constitutionally shared between a (central) federal State and its Member-States (Cantons, Länder, etc.). Fonti del diritto [Sources of the Law] : each of the various types of facts or acts that, in the context of a given legal system, can give rise to, can modify or cancel legal norms. These acts or facts are referred to as “sources of Law production”, while norms of constitutional nature that grant them the power to produce laws are referred to as “sources on Law production”. Both are referred to as “Law sources in the formal sense”. Forma di governo [Form of Government] : the way in which the political power of a State is organized and managed. In particular, in relation to the way in which executive and legislative power is divided, the form of government can be parliamentary or presidential. Funzione pubblica (Dipartimento della) [Public Administration (Department for)] : activity carried out in the interest not only of the party exercising that power but of the community as a whole. All the functions of the State are included in this notion (legislative activity, jurisdiction and administration). Gazzetta Ufficiale [G.U. – Official Gazette] : periodical publication (published by the State Printing Office) that has the scope of diffusing awareness of laws and decrees and to establish the date from which they come into force. As well as normative acts, the Official Gazette publishes all acts of public interest and the notifications and insertions that must be compulsorily announced. Gerarchia delle fonti del diritto [Hierarchy of Sources of the Law] : way of distinguishing different Law sources according to their importance. The most important source in Italian legal system is the Constitution. Giunta comunale [Communal Board] : government organ of the Commune. It carries out proposal and orientation activities with regards to the Communal Council. It collaborates with the Mayor in the administration of the Commune and operates through collegial deliberations fulfilling the acts that are not exclusive to Communal Council or that do not fall within the competencies, in accordance with the laws or the Statute, of the Mayor or other organs of decentralized authority. Giunta provinciale [Provincial Board] : executive organ of the Province. Its competencies include general active administration for all matters that are not attributed to other provincial organs. Giunta regionale [Regional Board] : executive organ of the Region. It has general administrative competence and the power to issue circulars and to regulate its working through specific internal regulations. Also, it has the task of enacting the political program drawn up by the Council. It can promote bills and laws and can impugn the constitutionality of State or other Regions laws that impinge on its competence. Giurisdizione [Jurisdiction] : it is one of the three typical modes by which the sovereignty of the State is enacted. It consists in public and autonomous authority aiming at the concrete application of the laws of the legal system and it is attributed to particular organs of the State, that as a whole constitutes the “Judicial Authority”. Giustizia amministrativa [Administrative Justice] : the complex of institutions that are predisposed for the defense of the citizens or of public or private organizations with respect to the Public Administration. The organs of Administrative Justice are the Regional Administrative Courts (“ Tribunali Amministrativi Regionali ” – TAR) and, at a secondary level, the Council of State. Governo [Government] : complex body to which the exercise of the executive power of the State is principally attributed. It consists of a Prime Minister and Ministers, who together make up the Cabinet. The President of the Republic nominates the Prime Minister and, on the suggestion of the latter, the Ministers. The Government also has certain normative powers that are exercised through the enactment of decree laws, legislative decrees and regulations. Guardasigilli [Keeper of the Seals] : he is the Minister of Justice who, by tradition, is the custodian of the State Seal and in this role countersigns laws and decrees in order to their publication. Iniziativa legislativa [Legislative Initiative] : is the first step in the “legislative procedure” for creating laws. A bill is drafted in paragraphs and articles and is presented to one of the Houses where it is debated. Those empowered to set this process in motion are: the Government, individual Members of Parliament, the electorate, the National Council for the Economy and for Work (“ Consiglio Nazionale dell’Economia e del Lavoro ” – CNEL) and, in the areas of their competencies, Regional and Communal Councils. Interpellanza [Interpellation] : inspection act consisting of a written question made by a Member of Parliament to the Government (or to a Minister) in order to understand the latter’s behaviour or intentions with respect to particularly important or general matters. Unlike a parliamentary question, an “interpellation” must be illustrated by its presenter and is always discussed in full Assembly (whilst a question can also be answered in a Committee) with the aim of obtaining an answer from the Government on subjects that are considered worthy of debate. Interrogazione [ Parliamentary Question] : political inspection act consisting of a written question made by a Member of Parliament (usually of the Opposition) to the Government or to a Minister on a particular situation in order to be granted information or explanations with regard to a particular issue or the provisions that have been made or will be made in its regard. Istituto Poligrafico e Zecca dello Stato [State Printing Office and Mint] : it is a body of public economic Law. Set up in 1928, it is under the control of the Ministry of Treasury, the budget and the financial planning. It has the task of exercising graphic arts in the interest of the State, the management of publications and of the State Stationery Office. It publishes the Official Gazette of the Republic and distributes public databases. To its original tasks, others – such as minting, the creation of official seals, and, on the authorization of the Treasury, minting for foreign States – have been added. Italgiure : online legal database realized by the Italian “ Centro Elettronico di Documentazione della Corte Suprema di Cassazione ” (Documentation Electronic Center of the Supreme Court of Cassation). It contains about forty databases of legal electronic documents (regarding legislation, jurisprudence, legal authority and bibliographies). It can be consulted through the ItalgiureFind querying language or via “Easy-Find” software. The ItalgiureWeb querying system is currently available on the Web and is freely accessible only to normal magistrates. Iter legislativo [Legislative Iter ] : expression commonly used to indicate the course that a bill or any other text presented to Parliament must follow before arriving at a definitive vote. Lavori parlamentari [Parliamentary Works] : activities carried out by Parliamentary Assemblies, Boards, Groups and Committees, as well as by other bodies in accordance with Parliamentary Houses regulations, adopted to ensure the proper functioning of Parliament itself. Lavori preparatori [Preparatory Works] : activities that precede the approval of legislative acts. These include the illustration of bills and their debating in Assembly. The preparatory works of parliamentary laws are particularly important and are registered in “ Raccolte degli Atti parlamentari ” (Parliamentary Act Collections). Legge costituzionale e Legge di revisione costituzionale [Constitutional Laws and Constitutional Revising Laws] : Law sources of a constitutional nature that are added to the text of the Constitutional Charter and that, differently from ordinary laws, must be passed by Parliament with specific procedures that are set out in the Constitution itself. Legge delega [Delegated Law] : it is a provision that defines the subject and the principles that the Government must keep to in enacting a specific legislative decree. Legge ordinaria [Ordinary Law] : it is a provision that is adopted by Parliament, with the approval of both the Houses – of “Deputies” and of “Senators”, is enacted by the President of the Italian Republic and published in the Official Gazette. Legge regionale [Regional Law] : it is a provision approved by the Regional Council, enacted by the Regional President and published in the Official Gazette. Legislatura [Legislature] : actual length of time of a parliamentary mandate (five years) for each House (of “Deputies” and of “Senators”), excepting in the cases in which they may be dissolved prematurely, or prorogated because of a war. It is articulated into “sessions” and “sittings”. Maggioranza di governo [Government Majority] : coalition of Parties that has obtained the majority of seats in Parliament and that supports the Government. Maggioritario [Majority System] : electoral formula that divides up national territory into uninominal or plurinominal constituencies. In uninominal constituencies the seat is usually assigned to the candidate who has had the relative majority of votes. In plurinominal constituencies the list that has obtained the relative majority of votes is given the absolute majority of seats or receives a bonus that is a greater number of seats than that which proportionally reflects the electoral result. Magistratura [Magistracy] : in its wider sense this term includes the whole body of public functionaries, whether their offices are legislative, judicial, executive or administrative. In a more restricted and usual meaning, it denotes the class of officers who are charged with the application and execution of the Law . Ministero [Ministry] : State bureaucratic apparatus that operates in a specific sector of Public Administration. It depends directly on the central organ of Government as a Minister, who administrates its activities, is placed at its head. Ministro [Minister] : constitutional organ of the central Administration of the State. It has political and administrative functions and it contributes to the policies of Government in a specific sector of administrative activity. Ministro senza portafoglio [Minister without Portfolio] : Minister invested with the political-constitutional authority of member of the Government as a collegial organ. He is not, however, at the head of a Ministry but is assigned to carry out tasks of political-administrative nature, which mostly consist in initiative, coordination and inspection functions. Norma giuridica [Legal Norm] : abstract, general and prescriptive rule whose breach involves a sanction. Norma interna [Internal Norm] : regulation made by a Public Administration regarding the carrying out of its functions and the way in which its activities are run. Organizzazione per la Cooperazione e lo Sviluppo Economico [O.C.S.E. – Organization for Cooperation and Economic Development] : international organization set up in 1960 to aid the economic growth of its Members and the development of international trade. Organizzazione delle Nazioni Unite – ONU [United Nations – UN] : it has been founded in 1945 in order to guarantee peace and international security, economic and social development of the world’s populations and the respecting of human rights and fundamental liberties. Ordinamento giudiziario [Judicial System] : set of norms that regulates judicial functions and the status of the people to which they are assigned. Parlamento [Parliament] : constitutional organ elected by the citizens and made up of the “House of Deputies” and the “Senate of the Republic”. Its main functions are of a legislative, inspection and policy nature. Parlamento Europeo [European Parliament] : legislative organ of the European Union, made up of the representatives of the people of the Member-States who are elected, as from 1979, every five years by direct universal suffrage. Prassi amministrativa [Administrative Practice] : a succession of acts of similar kind carried out by the Public Administration, even without the belief they are obligatory. It is not a source of Law and has no effect on legal system, but it can be used for the interpretation of administrative acts. Prassi costituzionale [Constitutional Practice] : repeated or customary actions with which constitutional organs concretely carry out their assigned tasks. Only a few specific “behavioral practices” followed by the constitutional organs of the State are derived from them. Prefetto [Prefect] : representative of the Government in the Provinces. Nominated by a decree of the President of the Italian Republic on the suggestion of the Interior Minister and after a Cabinet consultation, he has functions that cover all branches of the State administration and, through the Provincial Committee for Public Order and Security, coordinates the strategy for public security in the Province together with the Police Superintender and other Provincial Commanders of the Police Force. Presidente del Consiglio [Prime Minister] : constitutional organ that has the function of coordinating and directing the Council of Ministers. He is nominated by the President of the Italian Republic following a specific procedure that consists mostly in a series of consultations with Parties leaders and Houses Presidents. The Prime Minister creates the Government and draws up its program; he has also the power to propose the nomination of individual Ministers to the President of the Republic. Presidente della Repubblica [President of the Republic] : he is the highest institutional office of the State and is elected by Parliament in a plenary sitting and the representatives of the Regions. All citizens over forty-nine years, who have full civil and political rights, can be elected to this office. Presidenti delle Camere [Houses Presidents] : the Presidents of the Chamber of Deputies and the Senate are the organs that preside over the functioning of each House. A qualified majority is required for their election. Institutionally they are “impartial organs” and safeguard the autonomy of the Chambers with respect to other State Authorities. They hold “constitutional attributes” such as the power of extraordinary convocations of the Chambers and have the right to be consulted by the President of the Republic before the Chambers are dissolved. Presidenza del Consiglio dei Ministri [Prime Minister’s Office] : institutional structure that supports the activity of the Prime Minister. Presidenzialismo [Presidential System] : form of government characterized by a rigid separation of authority. In this system the President is elected directly by the people and is contemporaneously Head of the State and Head of the Government. Procedimento legislativo [Legislative Procedure] : set of acts aiming at the laws making in which both Chambers take part. 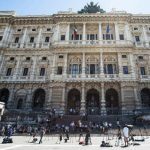 Procura della Repubblica [Office of the State Prosecutor] : office that is part of the Italian judicial system, to which the magistrates who carry out the functions of Public Prosecutor are assigned. Promulgazione delle leggi [Enactment of Laws] : it is an act of laws control that must be carried out by the President of the Italian Republic within a month from the approval of both Chambers of Parliament. The President controls the law’s constitutional legitimacy. With enactment the law becomes enforceable; binding effects for citizens, however, only follow the publication on the Official Gazette of the Republic. Progetto di legge [Bill] : it is a normative text drafted in articles that is proposed for approval to one of two Chambers. It is presented by a Member of Parliament, the Government, at least fifty-thousand electors, a Regional Council or by the National Council for the Economy and Work (“ Consiglio Nazionale dell’Economia e del Lavoro ” – CNEL). The term is used above all in the Chamber of Deputies, where it is distinguished between “ disegno di legge” (to indicate a law proposed by the Government) and “proposta di legge” (which is proposed on different initiatives). In the Senate the term “disegno di legge” is normally used for all legislative initiatives. Proposta di legge [ Bill ]: expression that in the Italian Chamber of Deputies traditionally means a law that is not proposed at the Government initiative, whilst in the Senate the legislative initiatives are denominated as “disegni di legge”. Provincia [Province] : territorial public body that is in between the Commune and the Region. At the head of each Province there is a President of the Provincial Government, who is elected directly by the citizens. Provvedimento amministrativo [Administrative Provision] : public authority act that provides for one or more concrete cases and with respect to one or more subjects. Pubblica Amministrazione [Public Administration] : the directly pre-ordained organs and activities that carry out the tasks and the aims considered to be of public interest by the State community. Pubblicazione della legge [Publication of Law] : the act by which a law is officially made public. It is an act of communication that makes a law operative. A law is published – in the Official Gazette of the republic – within and not beyond thirty days from its enactment. Pubblico Ministero [Public Prosecutor] : it is an organ of the State present at the “Corte di Cassazione” (Court of Cassation), at the “Corti di Appello” (Courts of Appeal), at the “Tribunali ordinari” (Ordinary Courts) and at the “Tribunali per i minorenni” (Juvenile Courts). Moreover, in each Office of the State Prosecutor attached to the Courts located in the District capitals there is a “Direzione Distrettuale Antimafia” (District Anti-Mafia Division). These divisions are made up of prosecutors specialized in investigating organized crimes. The offices of the “Pubblico Ministero” are held by career judges who exercise their functions under the supervision of the Minister of Justice. Their task is to ensure that the laws are observed, that justice is administered promptly and regularly, that the repression of crimes is promoted (they are entitled to start a criminal action) and that security measures are enforced. Quorum : legal number required for an assembly or a collegial body voting to be valid. Raccolta ufficiale degli atti normativi della Repubblica Italiana [Official collection of the normative acts of the Italian Republic] :contains legislative provisions of the State and all Government acts for solely documentary purposes. Raccomandazioni [Recommendations] : this is the term used in European Community Law for acts emanated by the European Commission or by the Council of Europe that are not legally binding. They have the precise scope to oblige those to whom they are aimed to adopt a comportment judged to correspond more with the European Community interests. Referendum : direct popular consultation of the electorate through a vote whose object is a legal text or a political question. It is the most important institution of direct democracy seeing as it is a tool by which the people exercises its sovereignty without the intercession of intermediaries. Our legal system envisages: a) the constitutional referendum, for the adoption of laws that modify or add to the Constitution; b) the repealing referendum, for the repeal of a law that is in force; c) the territorial referendum, for the modification of Regional, Communal or Provincial territory; d) the consultative referendum, non-legally binding on questions of particular relevance at the Regional level. Regione [Region] : is a public territorial body which has legal and administrative competencies. A President who, depending on Regional Statutes, can be elected directly by the citizens or chosen by the Regional Assembly, heads it. There are “Special Statute Regions” for which the Constitution, for political, ethnic and economic reasons, reserves a special treatment and there are “Ordinary Statute Regions”. Regolamenti [Regulations] : legal provisions that regulate specific matters within the limits set by the law. Governmental regulations are approved by a Presidential decree; ministerial regulations are approved by the competent Minister with a Ministerial decree. Regolamenti comunitari [European Community Regulations] : are the most important normative sources for the European Community Law; they are legally binding and are applied directly in each State of the European Union. Repubblica [Republic] : form of government in which the Head of State, who can be a single person or a body, is elected by the people directly or indirectly, i.e. through its representatives (Parliament). Rinvio delle leggi (Potere di) [Returning of laws to the Chambers of Parliament, Power of] : power given by the Constitution to the President of the Republic; its exercise constitutes a veto that temporarily suspends the approval of a law by the Houses. Risoluzione [Resolution] : in the European Community Law consists in an act adopted by the European Parliament that makes a unanimous statement on a report presented to it by one of its Committees. Resolutions are amongst the “atypical acts” of the European Community, especially when representatives of the Member-States, sitting as the Council of Europe, adopt them. Risoluzione parlamentare [Parliamentary Resolution] : is a tool that has the function of parliamentary orientation. It can be presented in Assembly or in Committee. Sanzione [Sanction] : consequence (fine, imprisonment, etc.) that a legal norm provides when it is broken. Sentenza [Sentence] : jurisdictional provision containing a decision, pronounced by the judge in a trial. Normally it is the concluding or final act of a judgment. Its form is established by Law: it is passed “in the name of the Italian people”, with the title “Italian Republic”, and it contains a disposition (the pronouncement in short of the judge’s decision) and its grounds (the statement of reasons for decision in judgement). Sindacati [Trade Unions] : collective organizations that represent the interest of specific categories of people (for example the workers). Sindaco [Mayor] : individual, head of the Communal government and officer of the State. Sistema elettorale [Electoral System] : complex of rules and procedures through which, on the basis of votes cast by the citizens, seats are assigned to the elected members. Sovranità [Sovereignty] : authority to establish rules and to have them observed. Stato [State] : territorial organization that is created through the political organization of a people that are stably set in a territory and under the authority of a government. Stato federale [Federal State] : political organization where power is split by a system that allows the Member-States to conserve some sovereignty. Tribunale Amministrativo Regionale (T.A.R.) [Regional Administrative Court] : organ of the Italian judicial system. Its jurisdiction covers the adjudication at first instance of administrative provisions appealed on grounds of legitimacy (that is of compliance with the law) damaging a legitimate interest (that is, the interest of an individual corresponding to a general public interest). In some contexts the Court has the power to adjudicate on the merits of a case or has exclusive jurisdiction. The Regional Administrative Court has competence within its own geographical jurisdictional area which coincides with regional boundaries and has its offices in the regional capital. It has several different divisions and decisions are made by a panel of three judges. Appeals against its decisions are made to the Council of State. Testo Unico [Consolidation Act] : a collection of norms that regulate a particular matter. It is approved by a Presidential decree. Trattati internazionali [International Treaties] : are sources of international Law. They are agreements through which the States establish common rules of behavior (financial, fiscal agreements, etc.) or institute or modify international bodies. Tribunale [Ordinary Court] : has jurisdiction in both civil and criminal matters over a geographical area called “circondario”. This Court may adjudicate as a collegiate court (with three judges sitting) or with only a single judge. The decisions of the Ordinary Court may be challenged on appeal to the Court of Appeal for reasons based on the facts giving rise to the dispute (on the merits) and before the Court of Cassation on appeal on grounds related either purely to the Law (relating to legal legitimacy) or to jurisdictional powers (jurisdictional grounds).The Ordinary Court also exercises the functions of a Tutelary Courttogether with other specific functions laid down by the Law. Tribunale dei Ministri [Ministers Court] : special jurisdictional organ – organized by lot in each Court that is a seat of an Appeal Court District – that judges the penal responsibility of Ministers. Unione Europea [European Union] : economic, political and institutional organization with very broad competencies to which the majority of European countries already belong. Vacatio legis : period of time between the publication of a law and its coming into force. Voto (diritto al) [Vote, Right to] : it is the right, belonging to all citizens, to elect their representatives in Parliament or in other representative organs of the State (Regions, Provinces, Communes, Districts).